Yes, its finally here. Nintendo is releasing the 3DS in stores on March 27th. 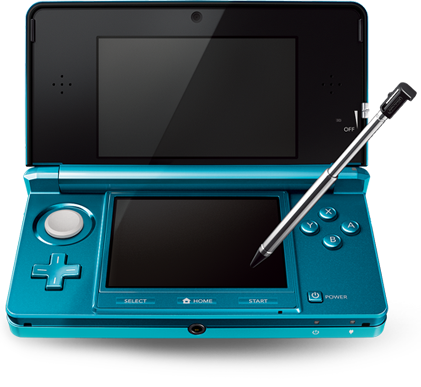 This new and improved DS includes a better operating system and a High Definition Screen. The touch screen this time is Heat Sensitive, not Pressure Sensitve. In other words, the touch screen will detect heat when touched, not the amount of pressure put on the screen. The colors available for this device will be Aqua blue, and Cosmo Black.